Welcome to Violet’s Corner! 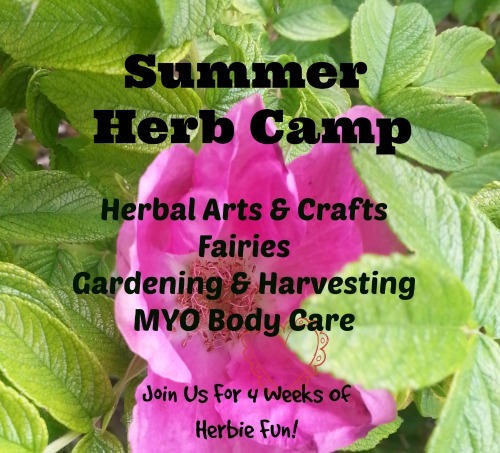 Violet's Corner is a place where aspiring herbalist and creative thinker Violet shares her ideas, projects and more all from the heart and mind of a child! Enjoy and come back to visit often. Violet has big plans for the future. This awesome Cinnamon Stick Fairy House is Violet’s first offering. We had a blast working hard on this together. Violet loves herbs and building things so it was a great project for her. She designed everything herself with a bit of guidance from me. Before doing this project be sure kids can use a hot glue gun safely. 1. First decide how big your house is going to be and lay out the bottom sticks to see how it will work. We used 6 inch sticks for the sides and back of the house and 3 inch stick for the front so we could leave a space for the door. 2. Then you start stacking up the cinnamon sticks and glueing them on. 3. You will need to hold the sticks on when you have just put the glue on and count to 10 or 20 to get the sticks to stay. 4. Then you make the windows. If you need to, you can cut sticks in half with scissors to make them the right size. Your parent might need to help you cut the sticks because it is tricky. 5. Then you take a few cinnamon sticks and size the door. I used a hawthorn berry for the handle. 6. I used sticks to make a triangle shape to put at the top front and back of the house for supporting the roof. 7. I made the roof by folding a piece of cardboard in half and trimming it to the right size. Then I glued cinnamon sticks along the edge to make it look nice. 8. Next we decorated the roof with anise stars. This is kinda like a puzzle to get them to fit. 9. Finally we decorated the house with moss around the house and rocks for a pathway. I glued the moss down with my glue gun and used a glue stick for the pathway. 10. I decorated a pinecone with tiny pompoms for a Christmas tree and made a fire out of cinnamon sticks and hawthorn berries. 11. For the curtains: First you size the curtains by putting up the cloth to the window. Then you cut it out. Then you poke a hole at the bottom of the cloth. Next you put a string through the cloth and glue it up a bit so the string won’t wriggle through the hole. Then you glue the top of the cloth to the cinnamon stick house. Then you test it to see if it is the proper size for tying up. *Please Note: This post contains affiliate links to Mountain Rose Herbs. Mountain Rose Herbs offers the best quality bulk herbs and supplies online. If you choose to use my affiliate link to purchase from them you will be supporting Mama Rosemary and all I do here. I will get a small percentage of your purchase however this does not in any way effect your purchase price. Thanks for supporting Mama Rosemary and happy herb crafting!